Cupcakes are all the rage. You can make them at home or use store bought cupcakes. 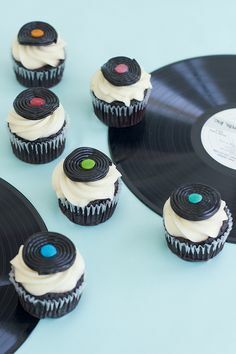 Then, use these clever ways to decorate cupcakes that will be the hit of any party. They are also fun to liven up an everyday family lunch or dinner. Most children love to do “food art” and will be happy to help and, of course, enjoy the finished product! Or, better yet, a special treat for a “Job Well Done” by your child, grandchild or any adult! Transform black licorice wheels into records! The petals are snipped up marshmallows. The dirt is cookie crumbs. The results are delicious. Circus party theme with “Rings of Fire” made out of pipe cleaners? 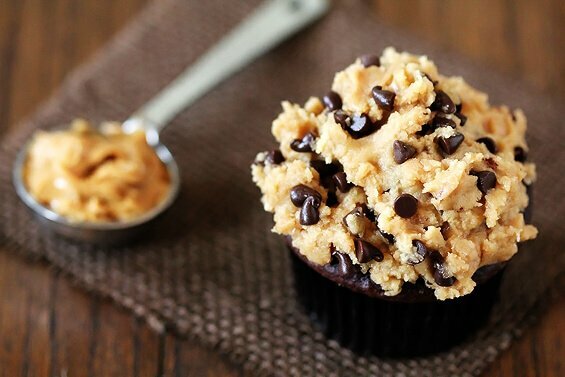 Chocolate Cupcakes – Peanut Butter Cookie Dough Frosting!! Can’t Finish Your Taxes on Time?